They came, they spied, and they conquered! No sooner had the soil dried up on the mass grave resulting from the termination of the Kenyan cases than the pieces of the mysterious Hague trials began to come together. The role played by some of the who’s who in the legal fraternity, some of whom were involved in the pre-ICC investigations into the violence, is particularly intriguing. Nobody can alter the fact that following the bungled presidential election of 2007, Kenyans slaughtered each other. In the madness, 1350 family members, friends and neighbours were murdered, and 650,000 countrymen were displaced. Various local enquiries were held. 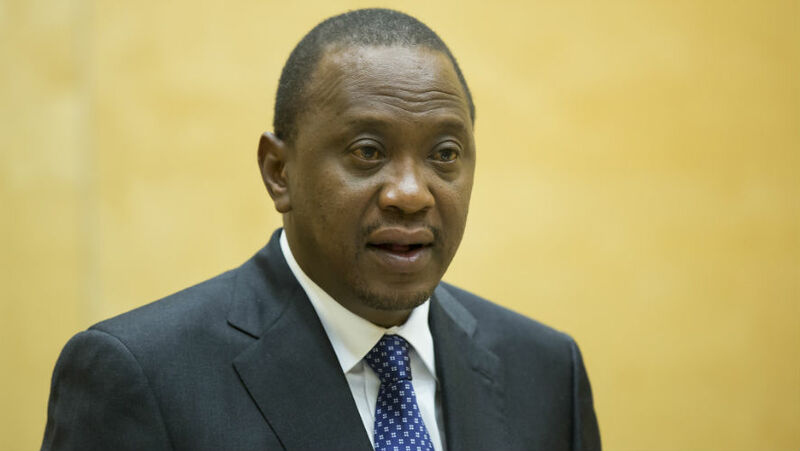 Six suspects were indicted by the International Criminal Court (ICC) in The Hague: Uhuru Kenyatta, William Ruto, Joshua Sang, Francis Muthaura, Henry Kosgey and Major General Muhammed Hussein Ali. They famously became the ‘Ocampo Six’. All of them got off scot free. In March 2015, a professor wrote an article in one of the local dailies. The hawk-eyed professor had been reading the ICC’s Office of the Prosecutor’s 26 August 2013 pre-trial brief for the case against President Uhuru Kenyatta in close detail. The professor was surprised to see two of the names that the prosecutor was linking to alleged witness tampering. She was surprised because she recognised the names from the independent national investigations into the turmoil. One of them, a lawyer, had links to the Commission of Inquiry on Post-Election Violence (the Waki Commission, named after its chairman, Justice Philip Waki). In building up their case against the ‘Ocampo six’, the OTP had significantly relied on this Commission’s findings. According to the article, the lawyer was “in Kenyatta’s defence team”. But, the professor also recognised him from the Waki Commission, “when he served as a victim’s lawyer and, as such, attended many of the Commission’s public and in camera hearings”. Together with two others also working for the defence, in February 2011 the lawyer had, according to page 46 of the OTP brief**, approached three witnesses with the intention of identifying other witnesses and buying their silence. The OTP had claimed that the lawyer in question is Mbuthi Gathenji, identifying him as “a lawyer working for defence”. As late as mid-2015, Gathenji, a renowned lawyer, was also the chairman and board member of the Centre for Justice for Victims of Crimes Against Humanity (CJCH). He was quoted in a report by reliefweb.int which described Gathenji as “the head of an organisation representing several victims”. The NGO’s own website (now inactive) also described it as a Kenyan NGO, founded as a result of the post-election violence (PEV). It provided legal and technical assistance to victims. 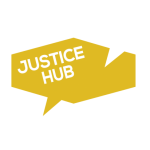 Furthermore, the website confirmed that the NGO had indeed participated in the Waki Commission, specifying that: “The Centre invited the intervention of the International Criminal Court as early as April/May 2008.” To further strengthen his work with PEV victims, in March 2011, Gathenji also had a short stint as the legal representative of the victims in the ICC’s Case against Ruto, Sang and Kosgey. It remains unclear when he shifted alliances. But by 15 April 2016, during the Thanksgiving rally hosted by President Kenyatta and his deputy William Ruto to mark the end of the ICC cases, Gathenji was duly introduced as one of the Kenyan lawyers who worked for Kenyatta in his ICC case. The introduction was done by Kenyatta’s chief lawyer in Kenya, Ken Ogeto. Does this amount to a conflict of interest? That can certainly be argued. And, taking into account the Prosecutor’s allegations of witness tampering, it could suggest a whole lot more. Gathenji may have used his knowledge from his work with the Waki Commission and the ICC’s victims unit to supply information to the defence that they would not otherwise have had. At the very least he must have bolstered their position. Yet, there are even more puzzling links between some of the lawyers of the ‘Ocampo Six’ and potential ICC prosecution witnesses. The circus and drama surrounding the Prosecutor’s frustration in getting the police to testify now comes into play. During the investigations in 2010, the OTP requested sworn statements from a number of Kenyan state local officials, including five provincial commissioners, six provincial police officers and dozens of district commissioners who were stationed in the areas where the violence broke out. In October of the same year, these officers went to court in Kenya to block their summons to testify. Their lawyers were none other than Ken Ogeto (who later turned out to be, at first Muthaura’s, and then Kenyatta’s ICC lawyer), as well as Gershom Otachi and Evans Monari (who both later reappeared as Major General Ali’s ICC lawyers during the 2011 pre-trial stage). Expecting the local officials to willingly give testimony against either Muthaura or Ali would have been naive. Ali was in charge of the police at all levels. Muthaura was the permanent secretary to the cabinet and head of the public service, roles that allowed him to have influence over the provincial and district commissioners. And, both these local and top national figures shared exactly the same lawyers. Moreover, Monari was first assigned to Ali by a government body during the Waki Commission’s investigation in 2008. So, it is likely that Monari also attended the Commission’s public and in camera hearings. At these hearings he probably already heard the evidence, if any, against Ali which would have been passed along to the ICC. Did some of these lawyers work extra hard to block any testimonies by local officials who could potentially incriminate their (soon to be) clients at the ICC? Ali’s own lawyers were quick to point out during the ICC’s confirmation of charges hearing that the OTP had failed to show that the police were part of a criminal plan and that Ali led/contributed to that plan. Ironically, the same lawyers were part of the legal machinery that had made it impossible for the OTP to collect crucial evidence from officers in the first place! In their last show of might to the ICC to mark the end of their cases, Kenyatta and Ruto put on their peacock hats and strutted and paraded these lawyers in front of the public, to thank them, together with others, during their celebrations at Afraha Stadium in Nakuru in April. Today, after fighting the ‘good’ fight, these lawyers all hold comfortable positions in the government, peacefully enjoying the privileges of playing court jester to the king. In April 2015, after the termination of all the Kenya cases in The Hague, Ogeto and Otachi got appointments to lead parastatal boards. Ogeto is the chairman of the Anti-Money Laundering Advisory Board, while Otachi is the chairperson of the Geothermal Development Company. Meanwhile, Mbuthi Gathenji is a country assembly (a local government) legal advisor. There is no record of a government appointment for Monari. Clearly, it took many years for the OTP to realise that it was dealing with a complex justice web. When it started to do so, the web was already so intricately woven that it was impossible to see through it. Even a veteran spider could not have made heads or tails of it. *Omwa Ombara is a US-based Kenyan journalist. M.A. is a Kenyan based in Europe. **The OTP brief refers to the ICC’s Office the Prosecutor’s 26 August 2013 pre-trial brief for the case against President Uhuru Kenyatta.